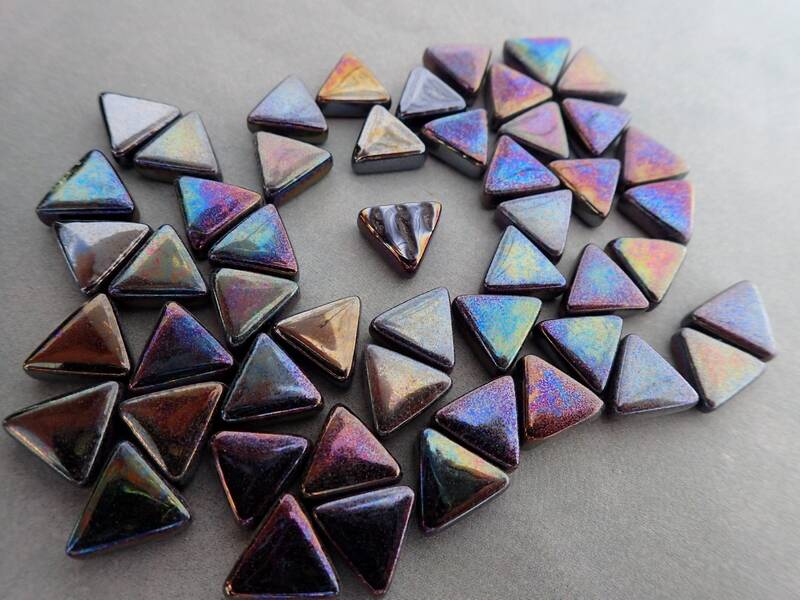 These mini triangle tiles are made of opaque glass. 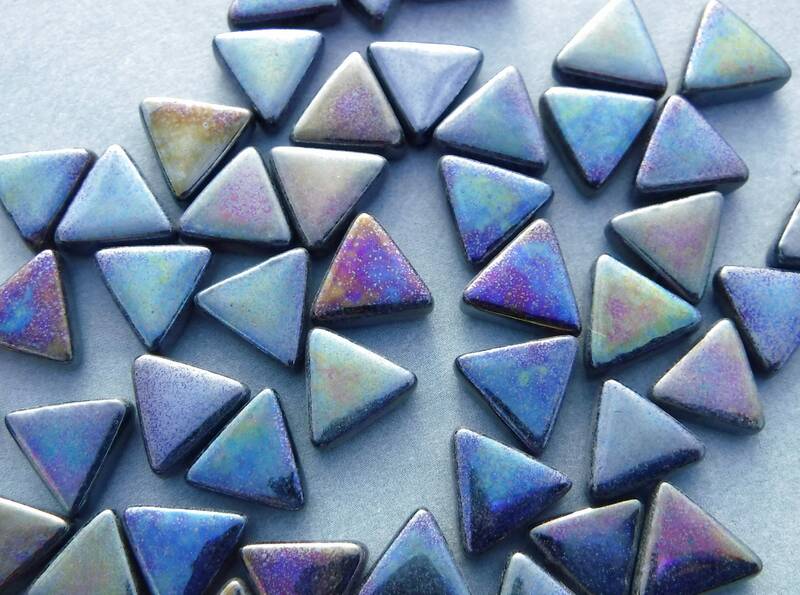 They are shiny on one side and grooved on the other side to help with adhesion. 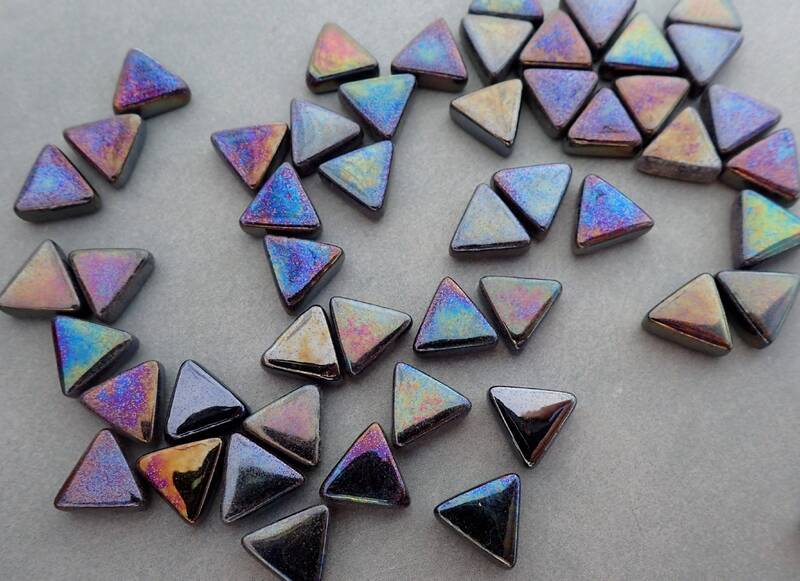 They are 10mm x 10mm x 10mm, and they are 4mm thick. 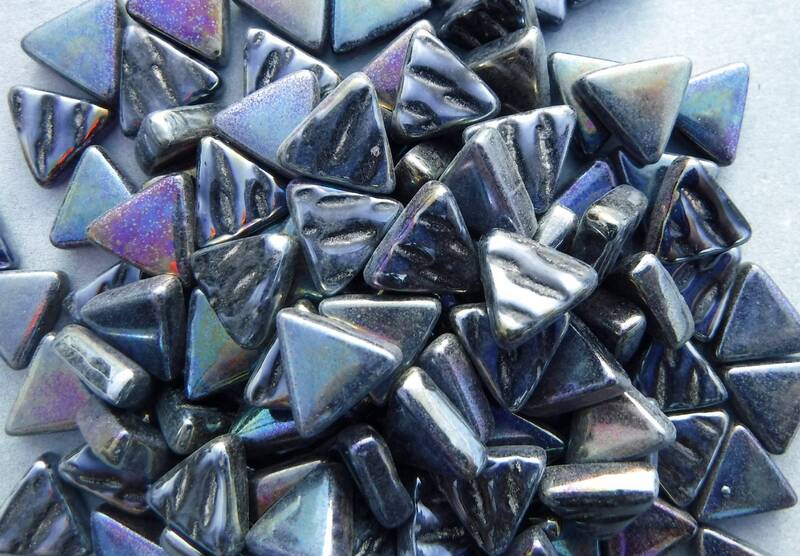 These can be used indoors and outdoors, as they are UVA and Frost proof. 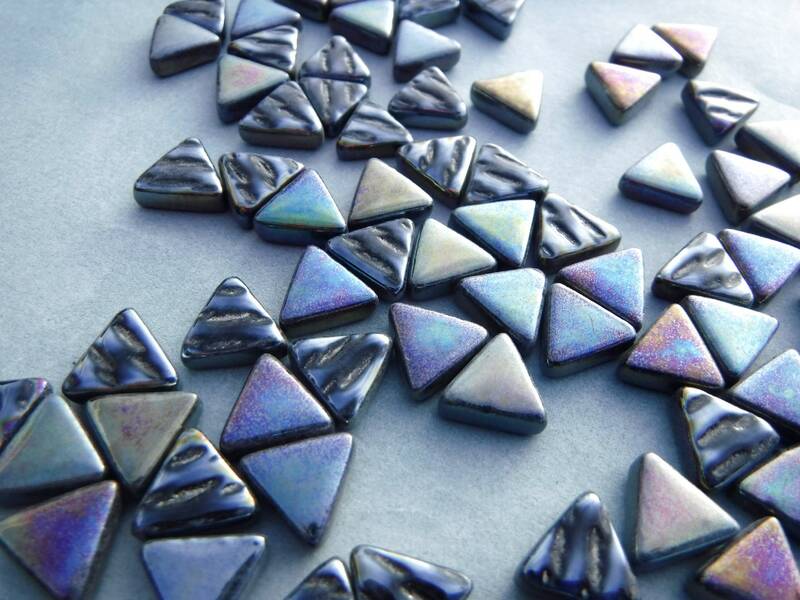 They are made from recycled glass. 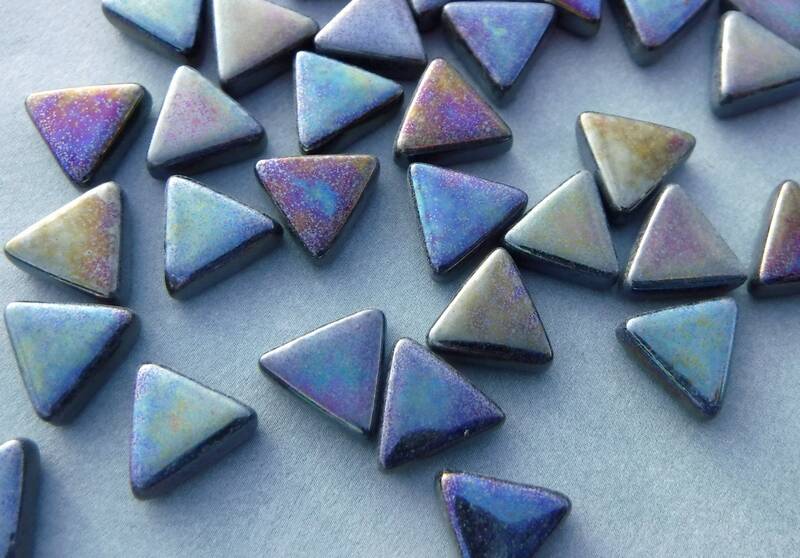 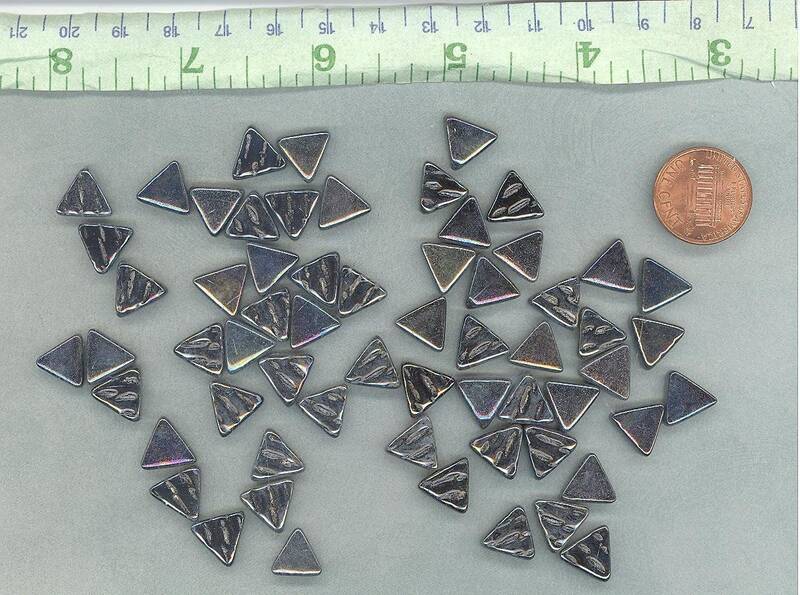 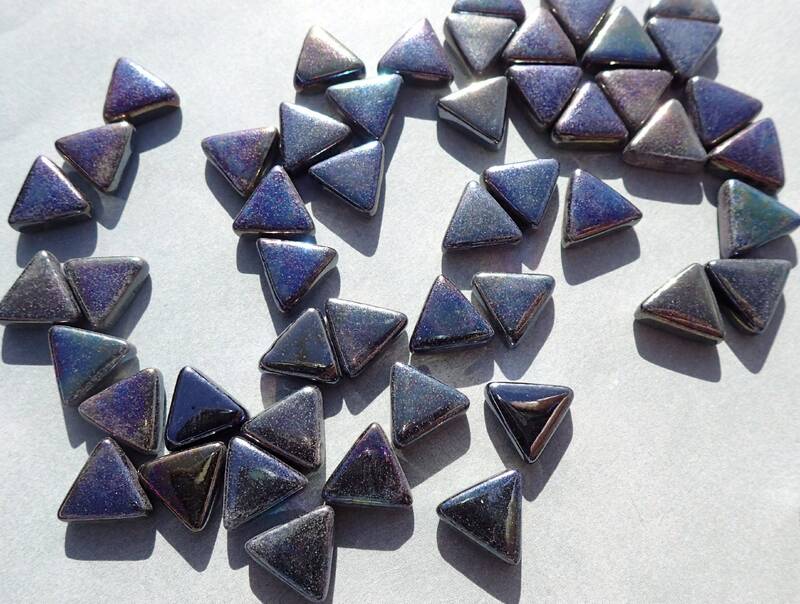 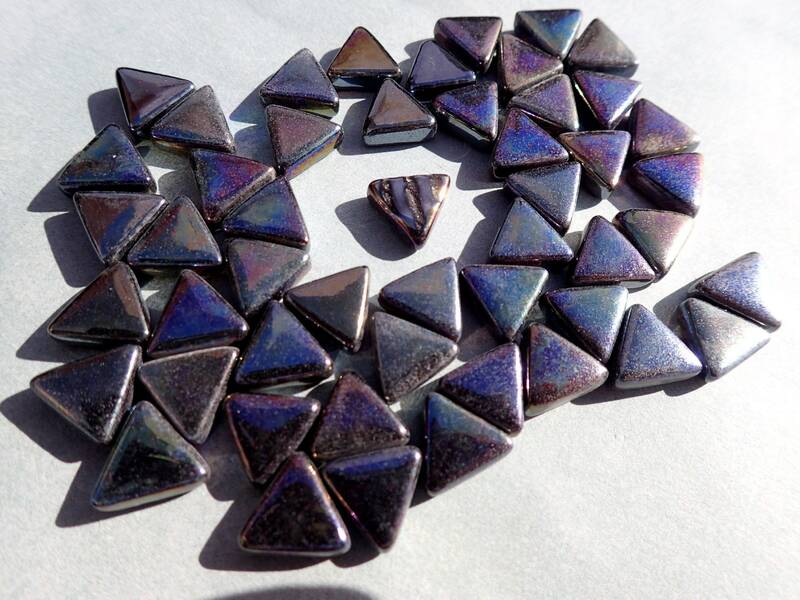 These triangles are a deep black with an iridescent finish.